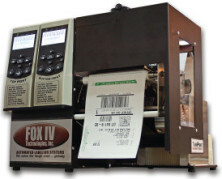 FOX IV Technologies’ patented TwinPrint® System streamlines the entire shipping process by eliminating the costs and expenses of separate shipping labels and packing slips. Efficient: By utilizing two print heads, the TwinPrint® system, FOX IV model 5515, prints both the shipping information and a confidential packing slip on a single label. 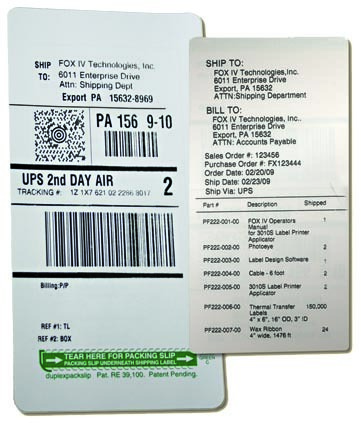 The shipping address is printed on the top label; the packing slip is printed on the label liner. The liner is die-cut such that it remains with the label and provides a protective secure adhesive perimeter around the label. Once applied to the carton, the packing slip information on the printed liner remains confidential and provides tamper-evident protection during shipping. The packing slip is accessed by simply tearing a zipper strip. Effective: Because the shipping label and packing slip are printed at the same time, on the same media, shipping and order information is guaranteed to match. Therefore, waste and return costs are significantly reduced. liner, the TwinPrint® system reduces the waste stream and enables a greener operational environment. 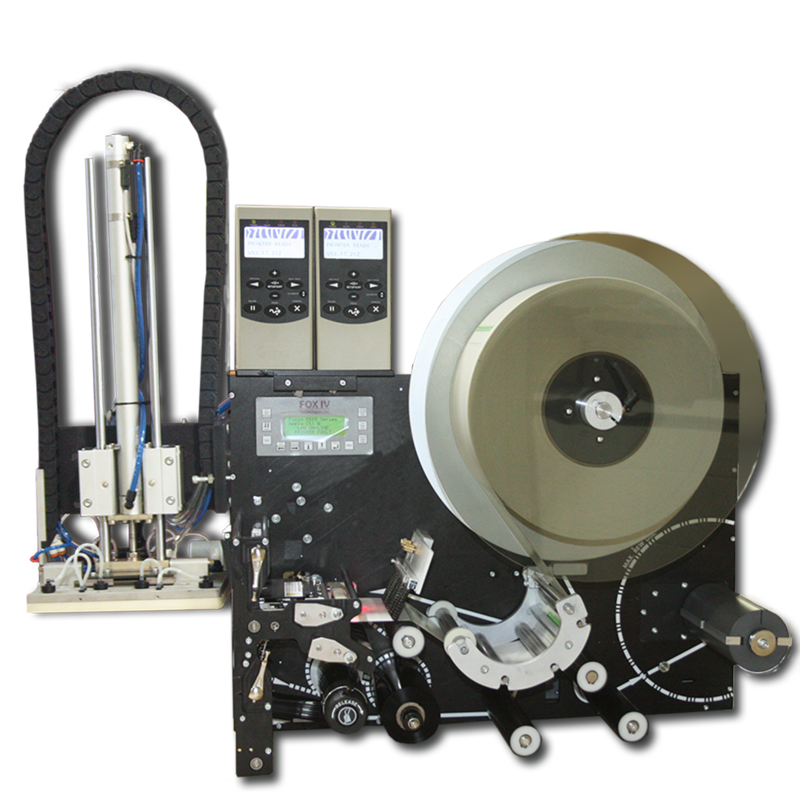 Flexible: Available in two sizes of table top label printer as well as standard length and extended length automated label printer applicators, there is a TwinPrint® solution suitable for any shipping operation. AVAILABLE WITH ICONEX 2ST™ TECHNOLOGY! By using a TwinPrint® with 2ST™ Technolgy, you add an additional layer of security as well as further reducing waste since 2ST™ technology eliminates the use of a thermal transfer ribbon. You are no longer printing through a ribbon that holds the image of the data being printed and no longer having to throw that ribbon away.